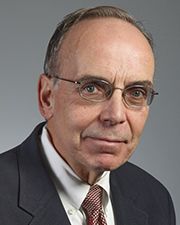 Dr. Robert Klein received his undergraduate degree in Biology from the College of the Holy Cross and his medical degree from New York Medical College. He completed an internship and residency in Internal Medicine followed by a fellowship in Gastroenterology at Nassau County Medical Center. He is the founding partner of Klein, Geier, Lipp, M.D, and L.L.P., which he started after his fellowship in 1983. Dr. Klein is board certified in both Internal Medicine and Gastroenterology. He is a Fellow of the American College of Gastroenterology and a Fellow of the Nassau Academy of Medicine. For thirty years he was a Clinical Assistant Professor of Medicine at the State University of Stony Brook and now has the same status at the Hofstra Medical School. Since the opening of The Endoscopy Center of Long Island in 2003, Dr. Klein has served as its President until it’s’ partnership with Northwell Health in 2013. He now serves as the Managing Director. Married with three children and one grandchild, he enjoys the outdoors, fishing and reading. This physician does not accept any Medicaid products.